When I read this to her, M said “that’s basically the Golden Rule.” And, as the old rabbi said about that, the rest is commentary. Meanwhile, everybody by now should realize many Americans don’t share this idea and never have. 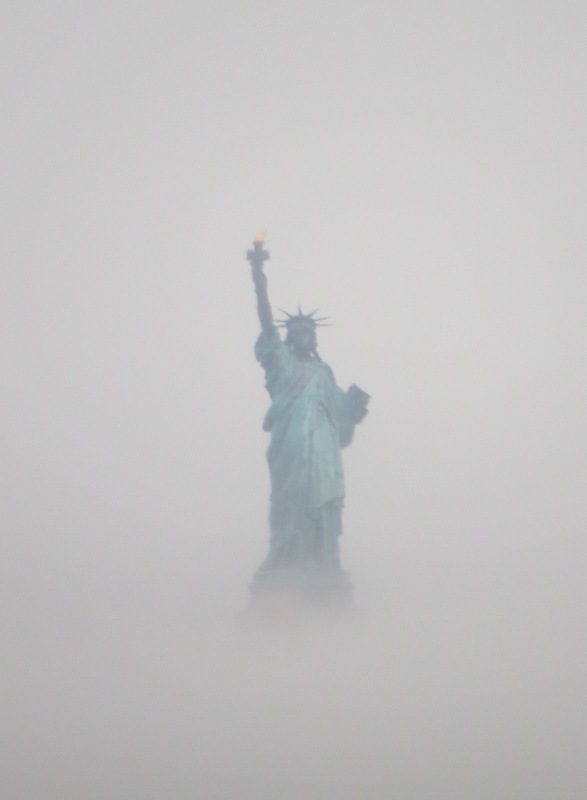 The View From the Moraine: Liberty in the fog (in reality and metaphor). Beautiful photo, Matthew. I agree with your sentiments. I also just read Anne Frank’s diary and I believe that most people are basically good. I see hope for us in all the people who march, protest, register voters and point out when things are wrong and unethical. I believe more people are becoming involved in politics to right some wrongs being done. Light always follow dark. So we’ll put Matthew. Both the slave and the master are in slaves. The golden rule is the only way to live True Life.